The Canon PowerShot S120 is the upgrade model from the Canon PowerShot S110. Just like the Canon PowerShot G16 it doesn't at first look that there are a big improvement on this model compared to the previous model, but if you look closer it has gotten two important improvements. The most important improvement is that the Canon PowerShot S120 uses a new image processor that is the heart or lungs of the camera and the second major improvement is the wifi module that lets the camera connect to a wifi network. There are three major factors that in any camera decides the image quality in the picture and movies that comes out of the camera. The lens, the image sensor and the image processor. When you upgrade one of these three components you can expect an improvement in the image quality that comes out of the camera. So when the image processor is upgraded it has better algorithms and power to process the image information that comes out of the image sensor, so the output of camera should be better, but only tests and reviews will tell how much better the camera has gotten from the previous Canon PowerShot S110. Canon themselves mention in their press release that the auto focus speed has gotten a major improvement in this model compared to the previous model. This is very important in a compact camera as the performance of the auto focus module normally isn't as god as in mirrorless cameras and digital SLR cameras, so if the camera has gotten a 40-50% performance improvement in auto focus it will be something that you notice and will be happy about. The last improvement is something that have gotten a good deal of attention in the mirrorless cameras. It is the possibility to shoot a lot of pictures in a row. Usually in many cameras this is limited by how big the buffer in the camera is, but in this camera (and in the Canon PowerShot G16) it writes directly to the memory card, so it is the speed of this device that limits how many pictures you can shoot in a row. It should be interesting to see if Canon decides to move this technology onward to other product lines like the digital SLR cameras as it is one of the factors that separates the entry level models from the top models. Having a wifi module in the camera is almost a must this days and this camera also has a wifi module. This is important as one of the major competitors is the smart phones how both have wifi modules and Internet access through the phone card. It is clearly that the difference between compact cameras and smart phones gets smaller and smaller as times goes by. People want small form factor with great image quality and be able to share the pictures on the Internet. The price is $100, which is a good deal, but as you can read from above you also get some good stuff. The question is if it is some good stuff you like and need. So how do you decide which to get. The older Canon PowerShot S110 which will get on sale as Canon tries to clear the stock that they have on this camera or the new Canon PowerShot S120 with better features, better image quality and faster camera. Well it depends on what kind of photographer you are and how you decide to use the camera and if you are on a tight budget. If it were me I would go for the new Canon PowerShot S120. 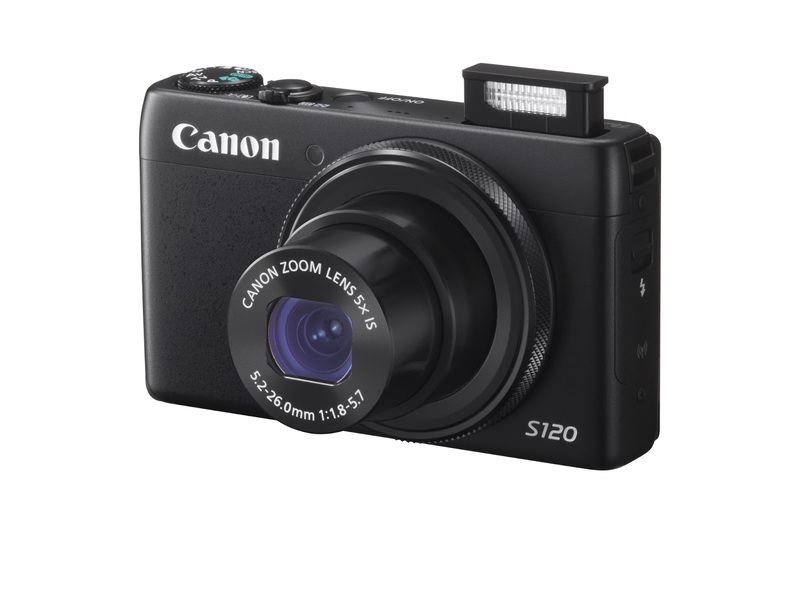 Follow the new Canon PowerShot S120 on Canon Index.